Registration for the Neighborhood Summit will be open until Monday, March 4. Register and find the Program to the Summit here! 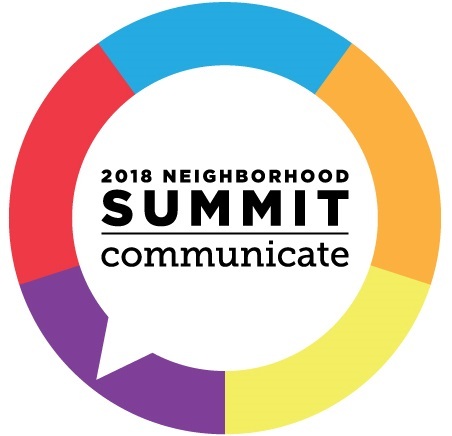 Once again, the Neighborhood Summit will be recognizing significant contributors to our City’s communities with three awards: Community Catalyst of the Year, Lifetime Achievement Award, Rookie of the Year, and, following this year’s theme, the Resilience Award. This award will be given to an individual, inside or outside of a community organization, whose life and work has benefited all of Cincinnati, through creating inclusiveness, increasing the viability of community activities and organizations, and supporting neighborhoods and neighborhood leaders. With this award, we recognize that hard work and dedication to positive change in our neighborhoods isn’t just something undertaken by the old hats and hands. This award is for the under-30 (ish) newcomers who are bringing passion, fierce commitment, and new forms of organizing and activism to make our city a better place for all. Everyone living and working in the city has access to what they need to survive and thrive. The man-made and natural systems that provide critical services, protect, and connect urban assets enabling the flow of goods, services, and knowledge. Fill out the survey here to submit your nominations and keep up to date on the 2019 Neighborhood Summit here. Nominations will be accepted through December 20, 2018. We’ve been planning and getting ready for the 2019 Neighborhood Summit! Coming Soon: Call for nominations for Community Awards. However, as always, the Summit is free and open to all. Thanks, and see you at the Summit!